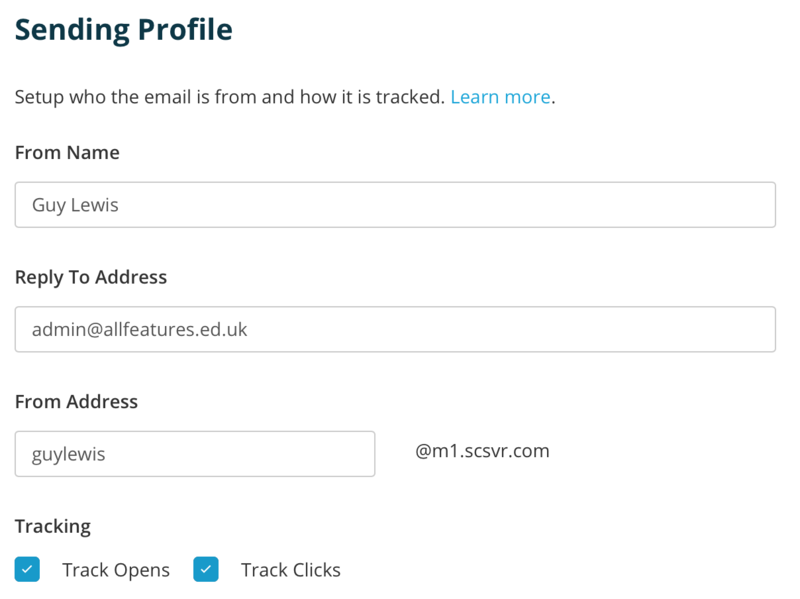 Every marketing email you send, whether it's to your contacts or to the Educators in your Education Data module, has a sending profile. This is what appears as the 'From' field in the recipient's email client. This is the address that the email will get sent to if the recipient clicks on the Reply button in their email client. You can choose the prefix though. It's quite usual to include your first name or your company's name here. Most email clients don't show the From Address. This would make the From Address look something like this: sprinteducation@m1.scsvr.com. You can turn open and click tracking on or off here.